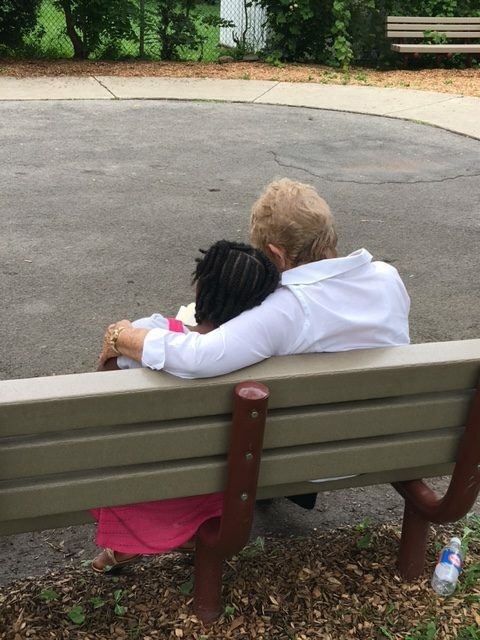 Summer is a great time to get kids excited about reading, and the Family Reading Partnership has is helping light the spark for children in our community. The Family Reading Partnership is partnering with Golden Opportunity (a local tutoring and mentorship nonprofit), the Tompkins County Public Library-Youth Services and the Cornell Public Service Center to foster a love of reading in children participating in the Southside Community Center’s summer camp. 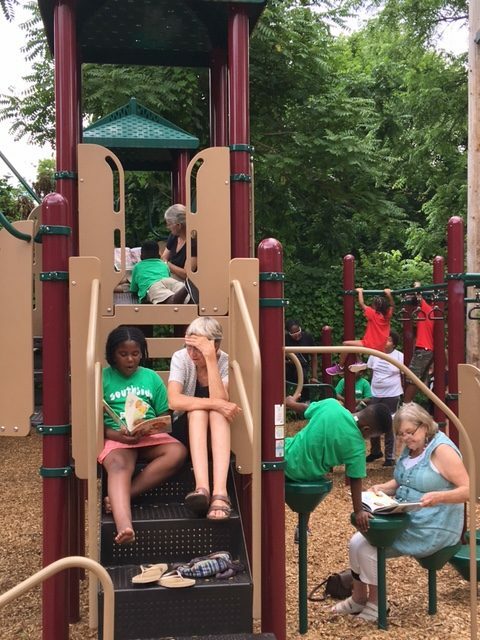 Every Friday through August 11th the Family Reading Partnership and volunteers from project collaborators will be on hand at Southside to introduce summer camp kids to new books, read with them, and help them develop reading skills that will serve them for a lifetime. Reading sets a course for success in life. Studies show that kids who love books and reading do better in school and develop better language skills and logical thinking skills, benefits that last a lifetime. The program at Southside is designed to get kids interested in books and teach them that reading – anytime, anywhere – is a fun activity the whole family can enjoy together. 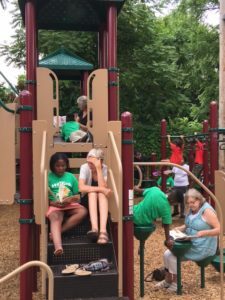 “This is the second year that Family Reading Partnership has participated in the Southside summer program. 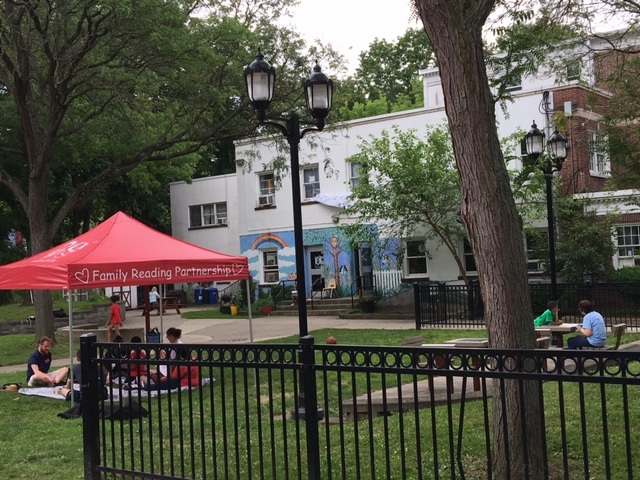 I’m thrilled that through the collaboration we have that we are able to serve the needs of the kids and to provide additional resources for great summer reading,” reports Aly Evans, executive director of Family Reading Partnership.